With Spring here and Summer on the horizon and the chance to hide away my winter boots and bring out my Fitflops, it is time to do something about my feet and and make sure they are in tip top condition. Many of you will by now know that I have a hatred of feet, I can't think of anything worse than having to touch someone's feet and the thought of someone touching mine makes me feel quite ill. You only need to show me a contraption like a Ped egg and I am heaving. That said, like every other part of my body, I take care of my feet to avoid any eventuality of needing some form of specialist care. In Primark, I came across this Exfoliating Foot Mask from Purederm, only it isn't a cream that you rub on, massage and wash off, it is more of a treatment in that it comes as a pair of wearable masks which are sock shaped and I bought them because for £1.50 curiosity got the better of me. 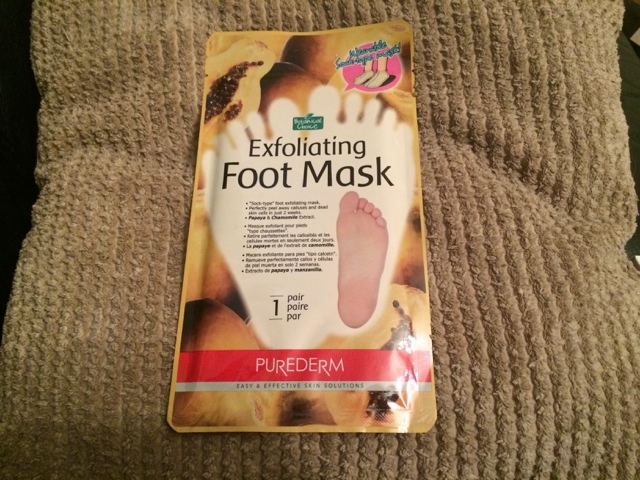 An exfoliating foot mask isn't something I would class as a must have product usually, BUT, get this bloggers , this product is amazing, there I've said it... Something amazing and it involves feet! Yes I have a hatred of feet, always have had and probably always will have, but I love this product. 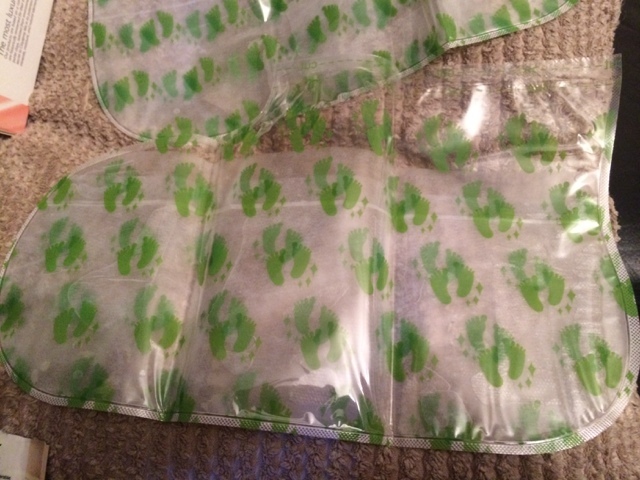 Once the packet is opened, there are two plastic socks. These plastic socks contain a clear liquid which is made up of papaya, lemon, apple and orange which with other botanical extracts work on breaking down the dead skin and calluses on your feet whilst using chamomile extract to help calm the skin. The socks only have to be worn for 60-90 minutes, and then after about 4 - 7 days the dry skin and calluses start to peel off, and eventually you end up with super soft feet. Once they are on your feet, do not try and attempt to walk around because it isn't safe and is really hard to master. 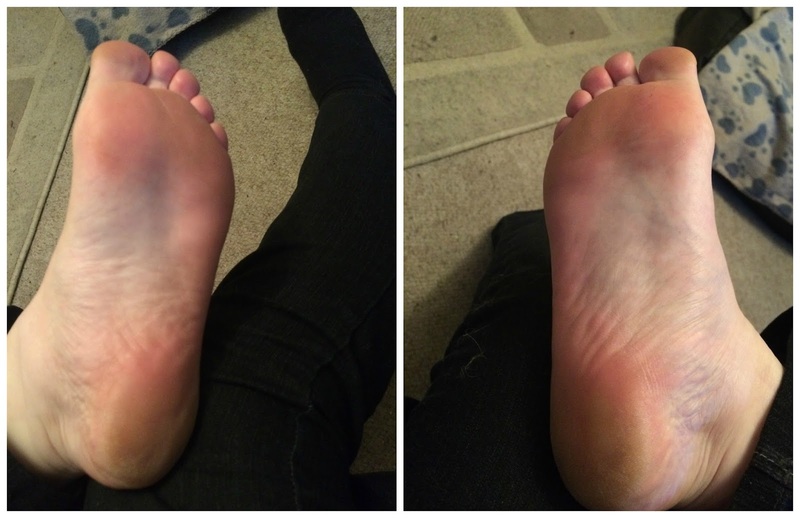 As you can see within 4 days my feet began to look rather disgusting and the skin began to come a bit loose, then on the 5th and 6th day more skin became loose and fell off and finally on day 7 was the day of reckoning when like a snake, I practically shed a second skin. The instructions on the packet state that you MUST NOT use a callus remover nor must you pick at and pull off the skin, which I will admit is really really annoying and I had to try really really hard to not pull it off. That said, all of the skin has now come off on its own and I am left with very soft and smooth feet. Not exactly a beautiful product that I have shared with you today, but it is one of the most useful ones I have ever bought and for an absolute bargain price. It did everything it said it was going to do and it left my feet feeling in great condition so that now (should we ever get some sun) I can wear my Fitflops without worrying too much about my feet being on show. A product I would definitely purchase and use again. Your right this doesnt sound like the nicest thing to talk about but it definitely is something i need! It actually does look like its really worked, imagine how perfect they would look after a second go! 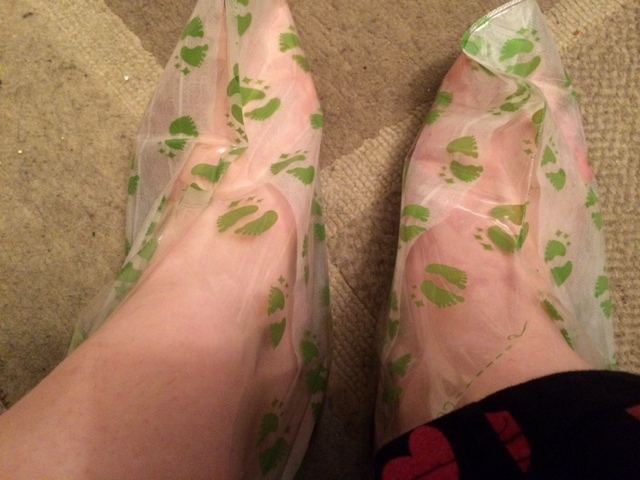 I love the look of this foot mask, I hate feet but they need some TLC especially in the summer months. Ok, that's pretty minging but pretty impressive. Never seen anything like this before. Thanks for sharing. thank you! I used footner which is similar but the brand name, and is much more expensive. Your photos show similar results so off to Primarni I shall go! Lord have mercy! Those photos are scary, but if it works ..... You don't go around leaving bits of skin in your tights/socks/bed do you? This actually sounds really good! Bit gross, but good!! Hi , I wish to say that this article is amazing, nice written and include almost all significant infos. I'd like to peer extra posts like this . I need a foot mask immediately, my feet are in poor condition as they are chafed and dry due to the winter weather. I need one of these. Very good. I really want to try this out. I will try. Thanks for sharing. Hey! How many packet did you buy/use before you saw effect?? To find best callus remover, you need to check review first, than take your decision.